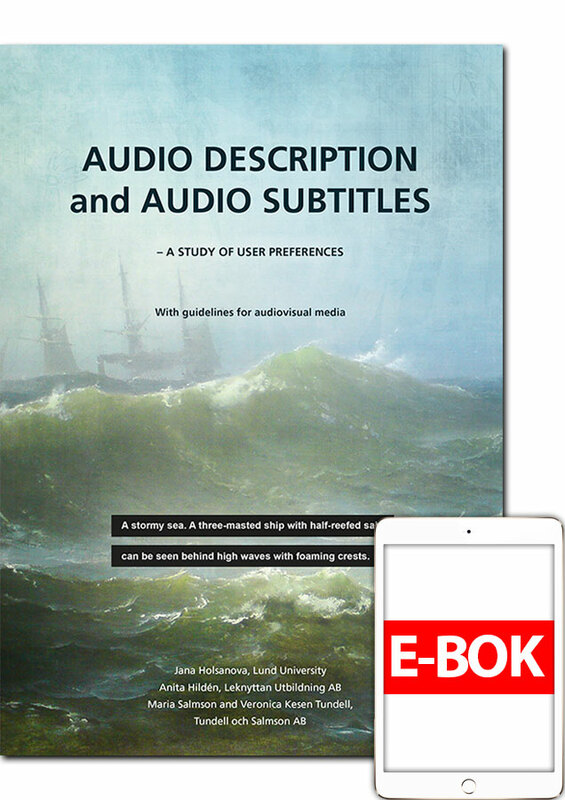 The objective of this study is to draw up recommendations and guidelines for what can function as good audio description from the perspective of a number of users. Even though audio description has traditionally been produced for blind people and those with visual impairment, recent experience shows that many more people can benefit from the service. Audio description can contribute to an increased understanding for those without visual impairments but who for some reason have difficulty following on-screen action or what is taking place in an image. 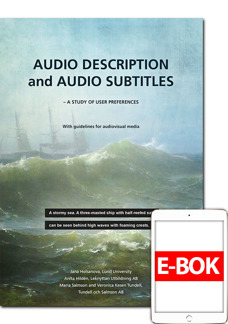 We also want to investigate the needs and preferences of audio subtitle users. The target group for this service is large and consists of people including children, the elderly, people with visual impairment, reading difficulties/dyslexia, aphasia and other cognitive impairment. Audio subtitles can also be useful for second language learners. The aim has also been to give TV companies and other actors guidance about the users' priorities in terms of what should be made accessible through audio description and/or audio subtitles, how this can best be done and to provide information to be used when balancing costs against needs.